PerkinElmer, Inc. (PKI): Are Hedge Funds Right About This Stock? Like everyone else, successful investors make mistakes. Some of their top consensus picks, such as Valeant and SunEdison, have not done well during the last 12 months due to various reasons. Nevertheless, the data show successful investors’ consensus picks have done well on average. The top 30 mid-cap stocks (market caps between $1 billion and $10 billion) among hedge funds delivered an average return of 18% during the last four quarters. S&P 500 Index returned only 7.6% during the same period and less than 49% of its constituents managed to beat this return. Because their consensus picks have done well, we pay attention to what successful funds and billionaire investors think before doing extensive research on a stock. 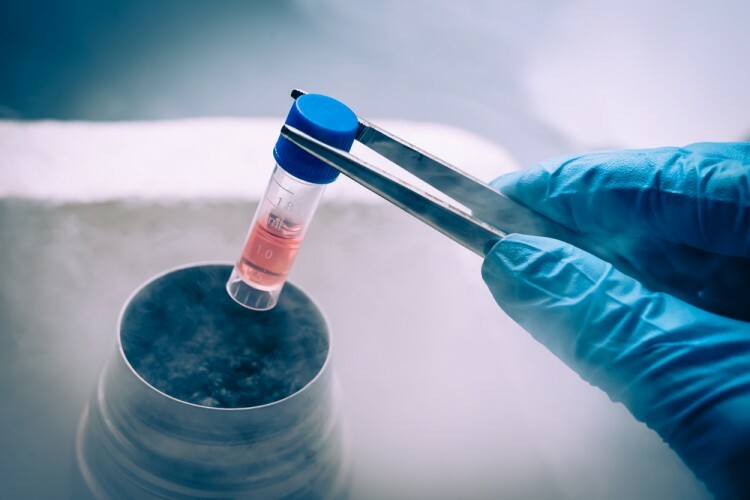 In this article, we take a closer look at PerkinElmer, Inc. (NYSE:PKI) from the perspective of those successful funds. PerkinElmer, Inc. (NYSE:PKI) shareholders have witnessed a decrease in support from the world’s most successful money managers lately. There were 26 hedge funds in our database with PKI positions at the end of the previous quarter. The level and the change in hedge fund popularity aren’t the only variables you need to analyze to decipher hedge funds’ perspectives. A stock may witness a boost in popularity but it may still be less popular than similarly priced stocks. That’s why at the end of this article we will examine companies such as Braskem SA (ADR) (NYSE:BAK), Owens Corning (NYSE:OC), and VimpelCom Ltd (ADR) (NYSE:VIP) to gather more data points. Now, we’re going to view the key action regarding PerkinElmer, Inc. (NYSE:PKI). What does the smart money think about PerkinElmer, Inc. (NYSE:PKI)? At Q3’s end, a total of 25 of the hedge funds tracked by Insider Monkey held long positions in this stock, a change of -4% from one quarter earlier. 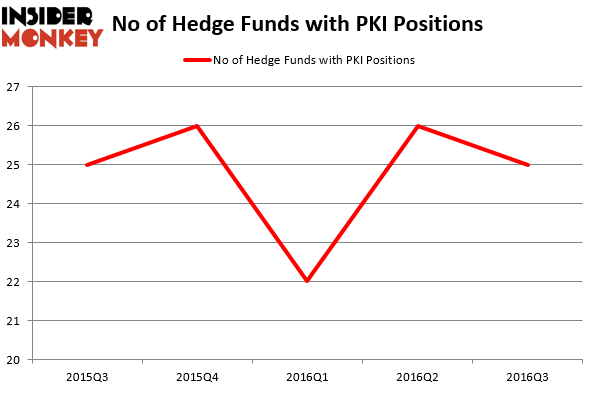 The graph below displays the number of hedge funds with bullish position in PKI over the last 5 quarters. With the smart money’s positions undergoing their usual ebb and flow, there exists a few noteworthy hedge fund managers who were boosting their holdings considerably (or already accumulated large positions). Of the funds tracked by Insider Monkey, MFP Investors, led by Michael Price, holds the largest position in BMC Stock Holdings Inc (NASDAQ:BMCH). MFP Investors has a $60.6 million position in the stock, comprising 8.1% of its 13F portfolio. The second largest stake is held by Odey Asset Management Group, led by Crispin Odey, holding a $43.6 million position; 3.1% of its 13F portfolio is allocated to the stock. Remaining peers that hold long positions contain Richard S. Meisenberg’s ACK Asset Management, D. E. Shaw’s D E Shaw and Marc Lisker, Glenn Fuhrman and John Phelan’s MSDC Management. We should note that MFP Investors is among our list of the 100 best performing hedge funds which is based on the performance of their 13F long positions in non-microcap stocks.